It's always refreshing to see a naturally aspirated F20C turned into a track-ready beast. 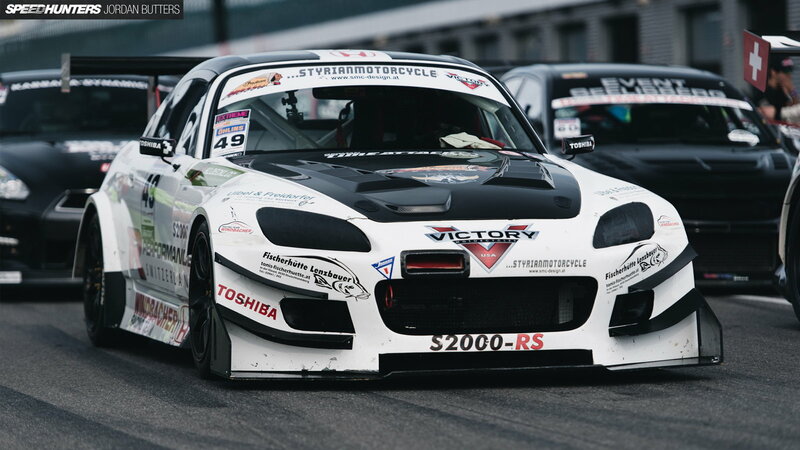 For those who aim to turn the Honda S2000 into a mighty track car, very often the complaint is that the stock F20C engine is underpowered. Unfortunately, the problem with tuning the engine is that it is already built to perfection out of the factory, making it difficult to extract any extra power from it. And while forced induction is always an option, the owner of this Honda track car, Rudolf Windbacher has chosen to go with NA. With his handy work, the S2000 engine now makes 320 HP! A carbon-fiber airbox aids air flow into the stock intake manifold to feed the engine. The reason why Rudolf has chosen to stick with the original header is that more often than not, the stock headers are more efficient than any aftermarket version. Therefore, the weight loss is usually not worth taking a chance on giving away power. Rudolf has fine-tuned every aspect of this powertrain to work in perfect harmony and with the highest possible level of efficiency. 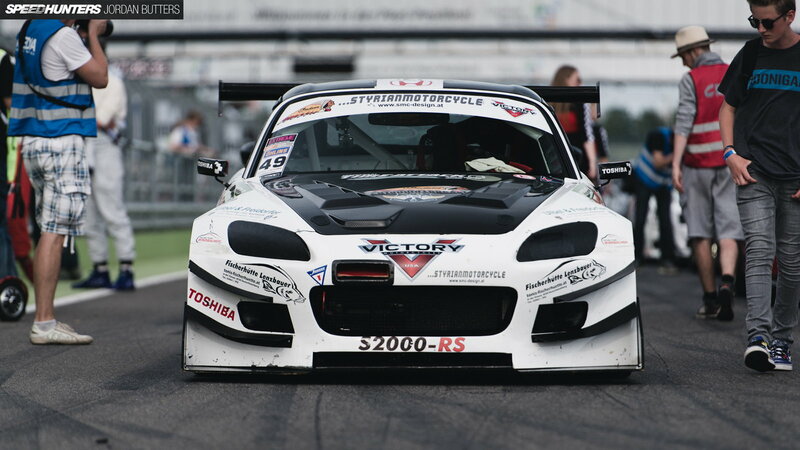 >>Join the conversation about Rudolf Windbacher's S2000-RS right here in the S2Ki Forum. 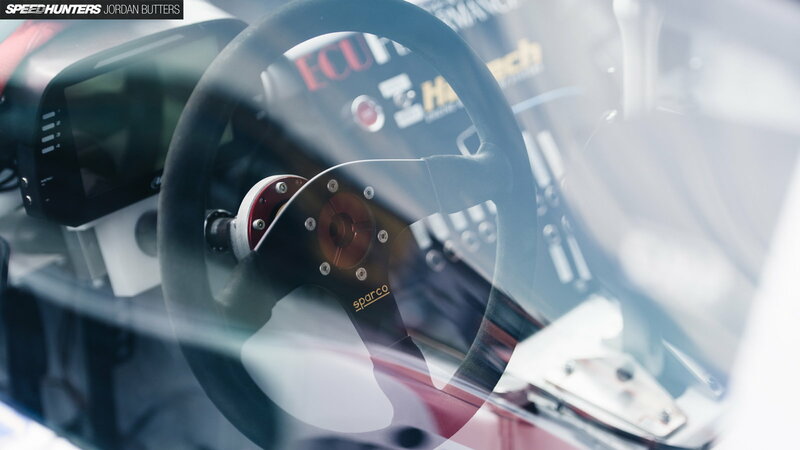 As you can imagine, the S2000's interior elements have been stripped down to the bare minimum to cut as much weight as possible. On the track, all Rudolf needs will be track information provided to him by the AiM MXG panel. The suspension has been rebuilt as well. The car now rides on KW Competition coilovers in four all corners. The S2000-RS is also fitted with AP Racing brakes, as well as Motec wheels. The 17x9-inch wheels are wrapped in Slick Avon radial tires. But perhaps the most eye-catching aspect of this in-house build is all the aerodynamic parts. The Honda is clearly built for the corners. The rear wing is attached to the diffuser at the rear. You can bet your bottom dollar this track-ready S2K has its rear tires stuck to the ground in high-speed corners. The lightweight carbon-fiber body kit will utilize every bit of downforce the aero elements produce. All the work that has been put into this project by Rudolf Windbacher and his team has resulted in an incredibly quick S2K track car, begging to be whipped around corners. With all the weight loss efforts, the S2000-RS now weighs in at only 2,200 lbs! With a perfect combination of the power plant, aerodynamic capability, and a well-balanced lightweight chassis, this mean Honda is ready to set some blistering lap times anywhere it goes.